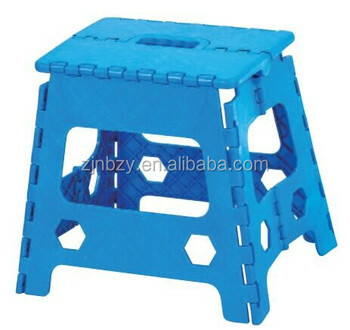 ----Sturdy and stable folding stool. 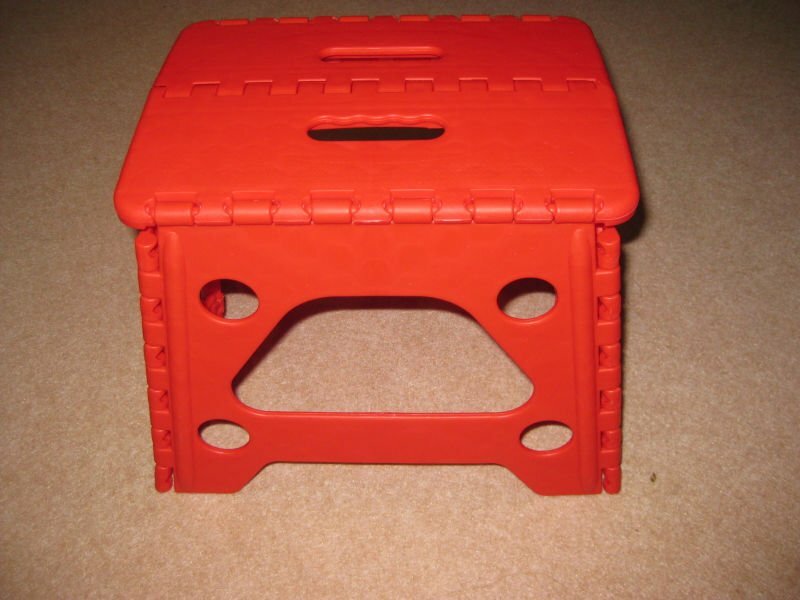 ----Made from tough and easy-to-clean plastic. 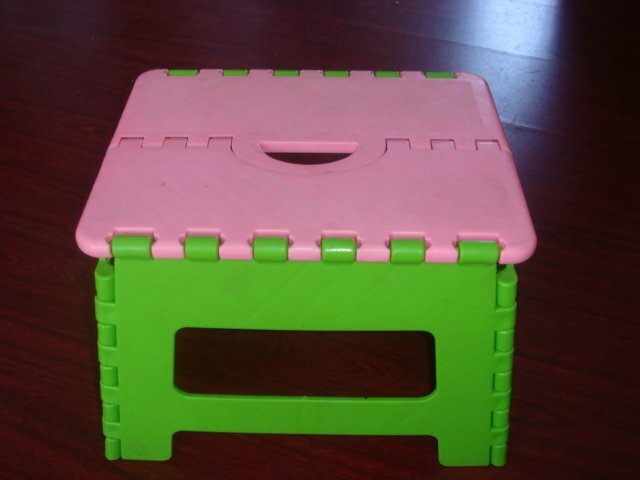 ----Folds flat for easy storage.